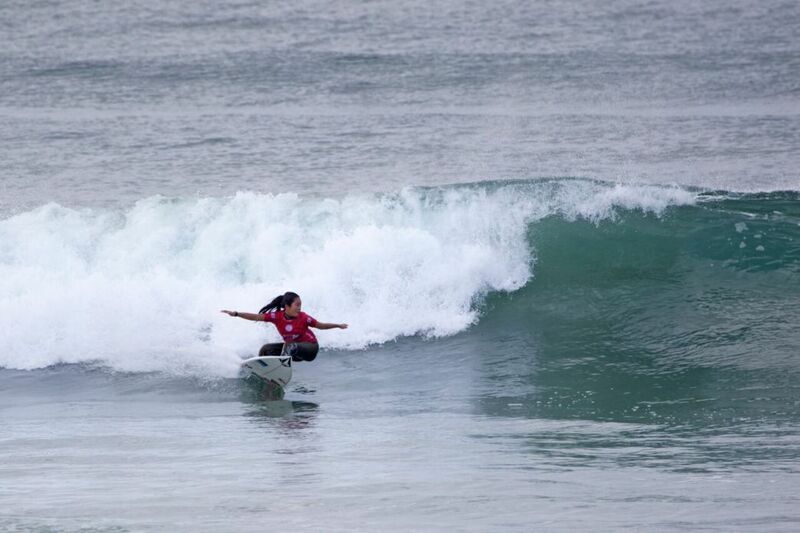 WORLD'S BEST FEMALE SURFERS SET FOR MASSIVE WEEK OF ACTION AT PORT STEPHENS TOYOTA NSW PRO. The 2017 Port Stephens Toyota NSW Pro is set to begin tomorrow with the women’s World Surf League (WSL) Qualifying Series (QS) 6,000 set to kick off the four-days of surf action. With the top six from the QS rankings elevating to the CT, there are a number of scenarios and situations that need to play out for each competitor hoping to make the jump. With a small amount of points separating the top 20, there’s a number of surfers with a shot at elevation. Since taking out the World Junior Championship in Kiama earlier this year, 17-year-old Macy Callaghan has had her attention focused on one thing, qualifying for the CT. After a third-place finish last week in Japan, the Central Coast standout has moved to 10th on the QS rankings and is one solid result away from achieving her dreams. Philippa Anderson has had plenty of hard luck on the QS in the past. The Novocastrian has missed the qualification cut off six years in a row. After a number of career-best results in 2017, Anderson is as close as she’s ever been to stepping onto the CT. With the biggest event of her career-taking place twenty minutes from her house, Anderson is as confident as she’s ever been about achieving her lifelong goal. Sitting at 5th on the QS rankings with an excellent chance of qualifying is American sensation, Caroline Marks. The 16-year-old is the only competitor inside the top ten who has never been on the Championship Tour. After a successful 2017 season, Marks looks to be the first guaranteed CT rookie for 2018. Joining the Men’s QS1,000 and Women’s QS6,000 components of the event will be the Port Stephens Women’s Challenge and the PRD Port Stephens and Kaos Surf Cadet Cup. Both events will give amateur women and promising junior stars the opportunity to rub shoulders with some of the biggest names in women’s surfing. Divisions in the PRD Port Stephens and Kaos Surf Cadet Cup comprise of Under 16 Boys and Girls, Under 14 Boys and Girls, Under 12 Boys and Girls and Under 10 Boys and Girls. In addition to the action in the water, Surfing NSW has undertaken a range of local engagements for the Port Stephens community, ranging from Indigenous surfing lessons, boardriders activations and allowing local students to gain work experience on site. Surfing NSW CEO Luke Madden believes the aforementioned community engagements fill the full circle of surfing from grassroots right through to professional surfers. “It’s a huge goal for Surfing NSW to not only develop the event for budding professional surfers, but also for people who are just discovering the sport for the first time, whether that be for prospective employment or hoping to find a potential passion for the ocean." The 2017 Port Stephens Toyota NSW Pro couldn’t happen without the support of the NSW Government via its tourism and major events agency, Destination NSW. The event will run from November 2 – 5. For more information and a live broadcast head to www.worldsurfleague.com and check the WSL App. HUGE OPENING DAY AT PORT STEPHENS TOYOTA NSW PRO WOMEN’S QS6,000. 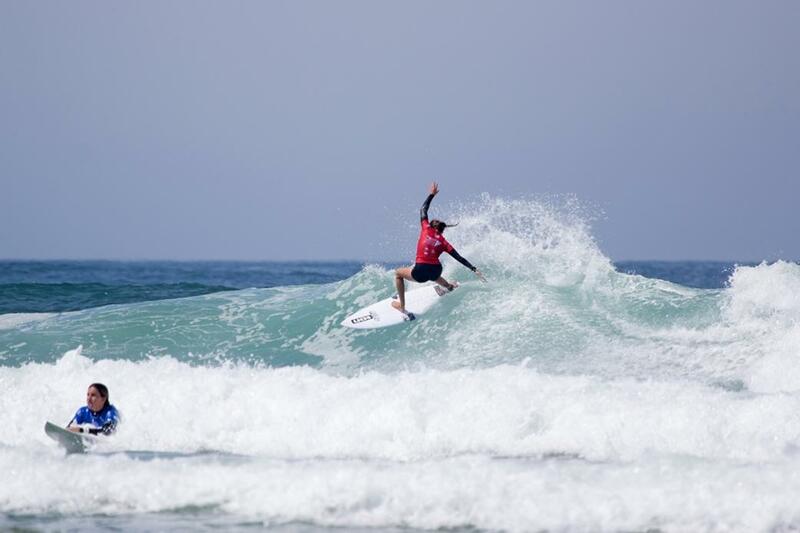 The final event of the World Surf League (WSL) Women’s Qualifying Series (QS), the Port Stephens Toyota NSW Pro Women’s QS6,000 has kicked off today at the events backup site of One Mile Beach. It was a massive opening day of competition with Rounds One and Two being completed while Round Three saw six heats run and won. 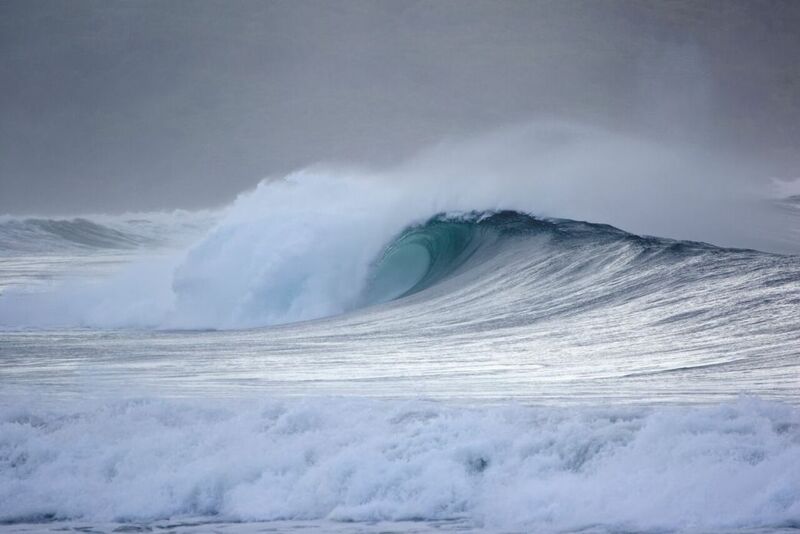 With a massive southerly swell battering the south facing Birubi Beach, contest directors were forced to take the event mobile to the more protected One Mile Beach where surfers went to work in the clean two-to-four foot surf. Fresh off competing at the recent Big Wave World Tour event at Peahi, Felicity Palmateer displayed her versatility by taking out the second heat of Round Three. The powerful goofy-footer looked calm in what were different conditions to what she was tackling less than a week ago. Palmateer went left and right on her scoring rides to win the heat with a two-wave total of 12.80. The first of the higher seeds to progress into Round Four was Portuguese competitor Teresa Bonvalot. The World Junior Competitor was eager to get the contest jersey on after having a few events on the sidelines and it showed as she ripped into the tough low tide conditions. Bonvalot progressed with a heat total of 11.25. 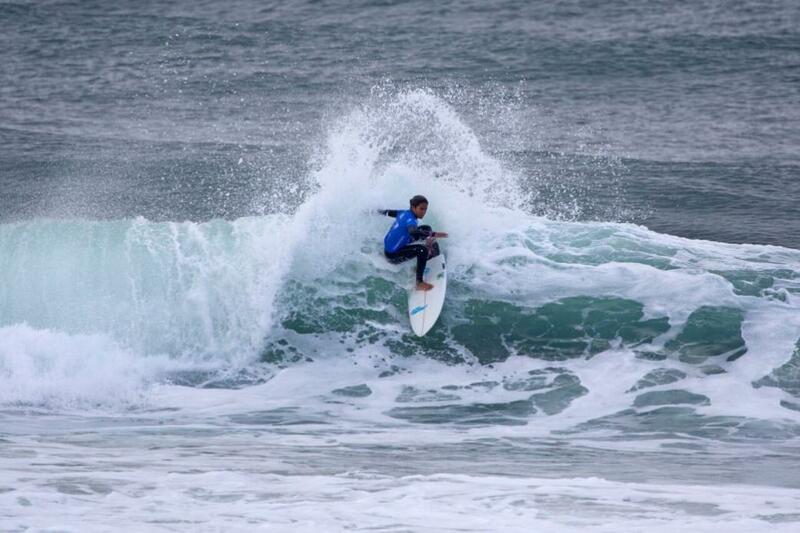 Young Central Coast competitor Kirra-Belle Olsson (AUS) was one of the standouts on the opening day. Olsson’s 13.00 point total (out of a possible 20) came from her trademark backhand attack. She now moves into Round Three and one step closer to coming up against some of her heroes. One of the first internationals to make a big splash on Day 1 was Spain’s Lucia Martino (ESP). Martino opted to surf her backhand, which allowed her to go more vertical and amass more points. After a slow year of competition, taking a heat win at a QS6,000 was exciting for the natural-footer. Fresh off a win at the recent Phillip Island Pro QS1,000, Piper Harrison continued her good form progressing into Round Three in second place. 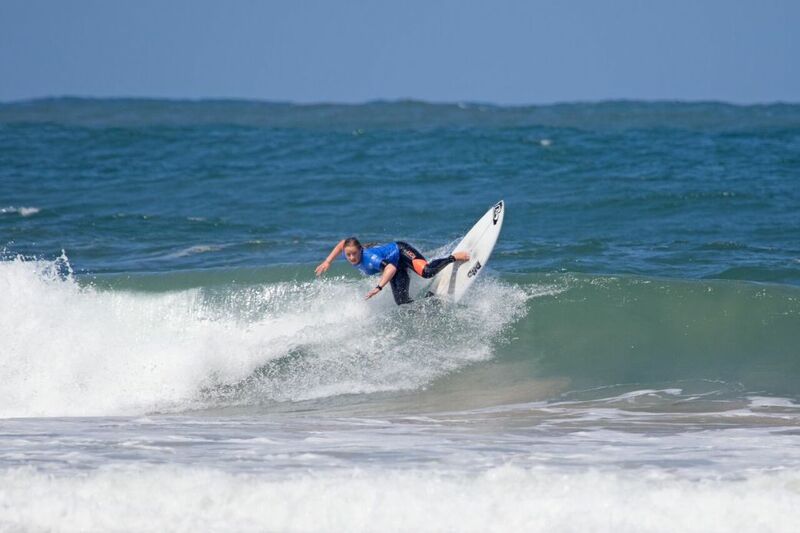 Harrison surfed a smart heat, keeping busy in the tricky low tide conditions. In addition to the action in the water, Surfing NSW have undertaken a range of local engagements for the Port Stephens community, ranging from Indigenous surfing lessons, boardriders activations and allowing local students to gain work experience on site. PRISTINE CONDITIONS GREET TOP SEEDS ON DAY TWO OF PORT STEPHENS TOYOTA NSW PRO. With a shift in conditions at Birubi Beach, the Port Stephens Toyota NSW Pro has moved back to the primary location for day two of competition. Some of the world’s best female surfers went ballistic in pumping 3-to-4 foot waves for the final WSL Qualifying Series (QS) event of the season. Local favourite Philippa Anderson moved a step closer to achieving her dream of qualifying for the CT with a win in her first heat of the event. Currently sitting at 12th on the QS, Anderson will still need a massive result at Port Stephens, but managed to edge closer to her goal, taking her opening heat with a heat total of 11.47 (out of a possible 20). Another young Aussie who is on the brink of qualification is current women’s World Junior Champion Macy Callaghan. Callaghan dominated her first heat, posting two solid scores for a heat total of 14.87 to move into round five. Although the young Central Coaster is trying to ignore her rakings situation, she is all too aware of how important her next heats will be. 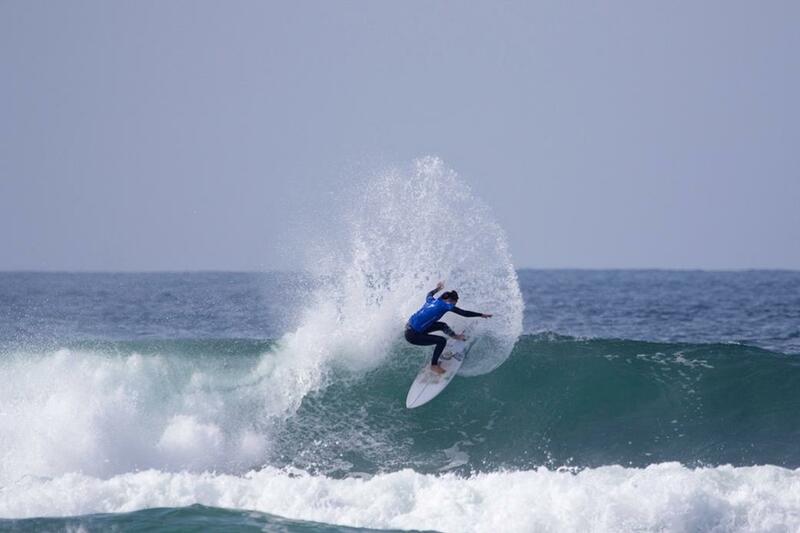 One of the first WSL Championship Tour (CT) competitors to hit the water was French surfer Johanne Defay. 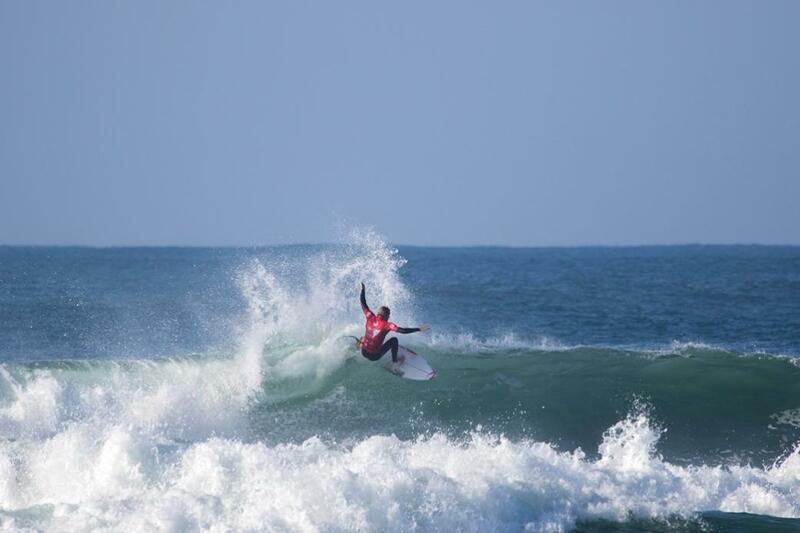 Defay was stoked to return to the area where earlier this year she won the Anditi Women’s Pro in Newcastle. 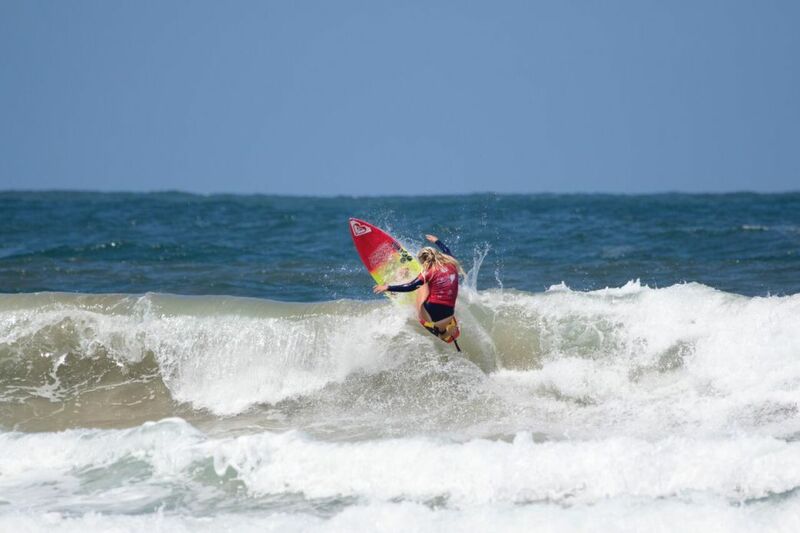 The natural-footer continued her form on Australia’s East Coast posting a heat total of 15.27 for a powerful display of forehand surfing, in what was her first ever surf at Birubi. Another CT surfer to dominate her round four heat was Californian Sage Erickson. The super stylish natural-footer is currently sitting in 7th spot on the Jeep Leaderboard and is at Port Stephens for time in the water as opposed to a big result. Erickson posted a solid heat total of 16.43 to progress into round five. The most impressive performance of the event so far came in heat three of round four when Holly Wawn took to the water. Wawn surfed out of her skin posting a two-wave heat total of 17.50 for her super powerful forehand attack. After recently returning from an injury, Wawn is stoked to get a solid start to the event. While the women surfed on the northernmost bank at Birubi, a group of Australia’s best male competitors were doing battle just down the beach for the Port Stephens Toyota NSW Pro pres. by Newcastle Airport Men’s QS1,000. Dean Bowen revelled in the punchy beachbreaks, punching out a handful of giant backside snaps to claim his two opening heats in the Port Stephens Toyota NSW Pro pres. by Newcastle Airport. Bowen amassed two heat totals of 15.94 and 17.34 to cement a spot in the round of 12 tomorrow. Fresh off a victory at the recent Phillip Island Pro Jacob Willcox carried his momentum into the Port Stephens Toyota NSW Pro pres. by Newcastle Airport. 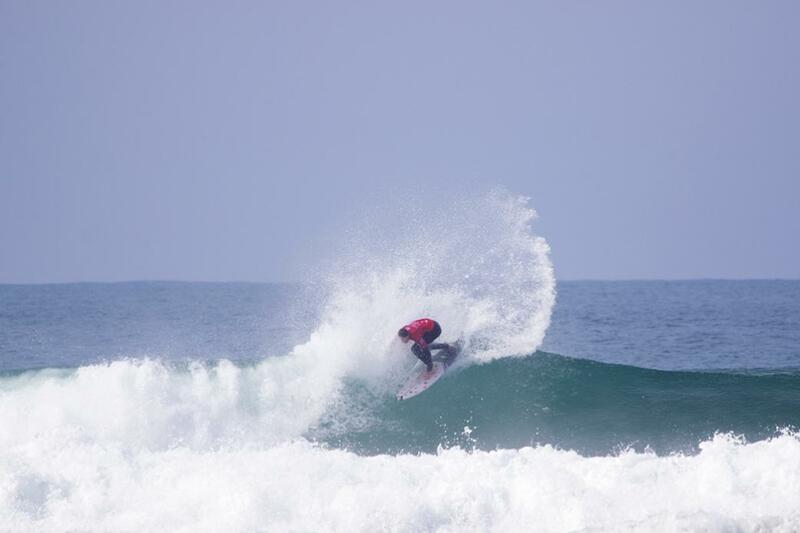 Willcox smashed out a variety of giant backhand turns to take the win in the first heat of the day. Willcox backed it up with a second place finish and will make his next appearance in the third round. All news, results and images from the Port Stephens Women’s Challenge and the PRD Port Stephens and Kaos Surf Cadet Cup will be uploaded to surfingnsw.com.au - keep up to date as those through to the Qualification Heats make their run towards the finals - Day 3 (Saturday) here. Johanne Defay has taken out the Port Stephens Toyota NSW Pro World Surf League (WSL) Qualifying Series (QS) 6,000 event. After an incredible four days of competition, Defay found herself up against Hawaiian competitor Tatiana Weston-Webb in the final as Birubi Beach served up clean two-to-three foot waves. The all-Championship Tour competitor final was a thriller, with the lead swapping back and forth between the two and Weston-Webb holding the advantage for the majority of time with a heat total of 14.43 (out of a possible 20). Only needing a mid-range score with under five minutes left, Defay took off on a long righthander and laid a huge layback snap and finished off with a closeout re-entry. The judges loved it and scored her an excellent 9.07 to boost her winning heat total to 17.74, leaving Defay to take the win and the top spot for the 2017 Women’s Qualifying Series. Coming into the 2017 QS season, Defay had never taken out a major event. 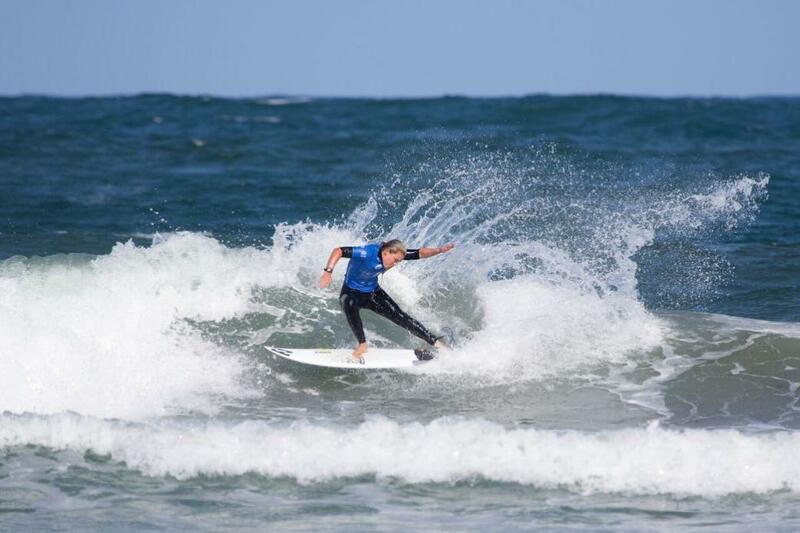 Now at the end of the season, she has had three QS6,000 final appearances, taking wins in two, here at Port Stephens and the first event of the year down the road at Surfest in Newcastle. It’s safe to say her appreciation for the QS and this area is abundant. Weston-Webb was a standout all event and looked destined to take the win when she opened up the final so strong. Although Defay overtook her in the end, the powerful goofy-foot was over the moon to have come and surfed the beautiful beaches of Port Stephens. Having had a below par year on the CT for her standards, Weston-Webb was relying on QS events to guarantee her spot on the 2018 CT. She along with all of the competitors was all too aware of the hard work that went into this event and was thankful for everyone’s efforts. After six years at the top tier of competitive surfing, Kiwi Paige Hareb had fallen off the tour and spent the last three years fighting to get back on. After a great competitive season on the QS Hareb needed a strong result at Birubi to return to the CT. After being eliminated in fifth, her fate was in the hands of Weston-Webb who after beating Macy Callaghan in the semifinal, gifted Hareb her return to the ‘dream tour’. Before the women hit the water for the final, The Port Stephen’s Toyota NSW Pro pres. 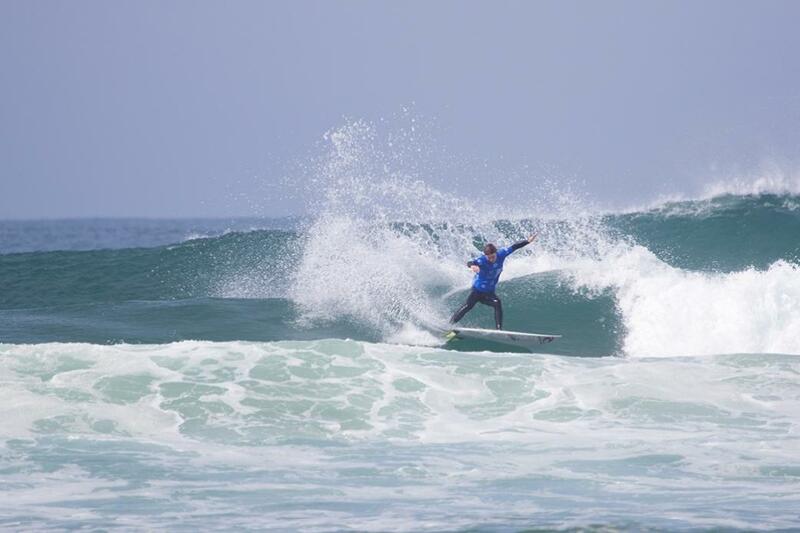 by Newcastle Airport Men’s QS1,000 final took place. It was a battle of the form surfers as Margaret River’s Jacob Willcox came up against Burleigh Heads youngster Liam O’Brien. It was a heated battle as the two went blow-for-blow, both posting solid scores. 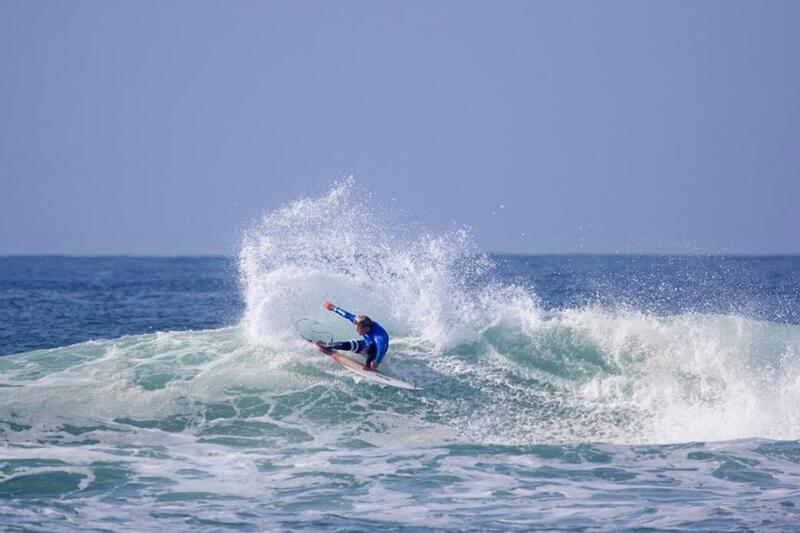 O’Brien surfed fast and loose, mixing power with progression to post a near excellent heat total of 15.60. Willcox fought back surfing with aggression but was unable to find the score he needed to win. O’Brien held the lead and went on to take the biggest win of his career. Fresh off a win at the Phillip Island Pro QS1,000 earlier this week, Willcox came into this event as the man to beat. 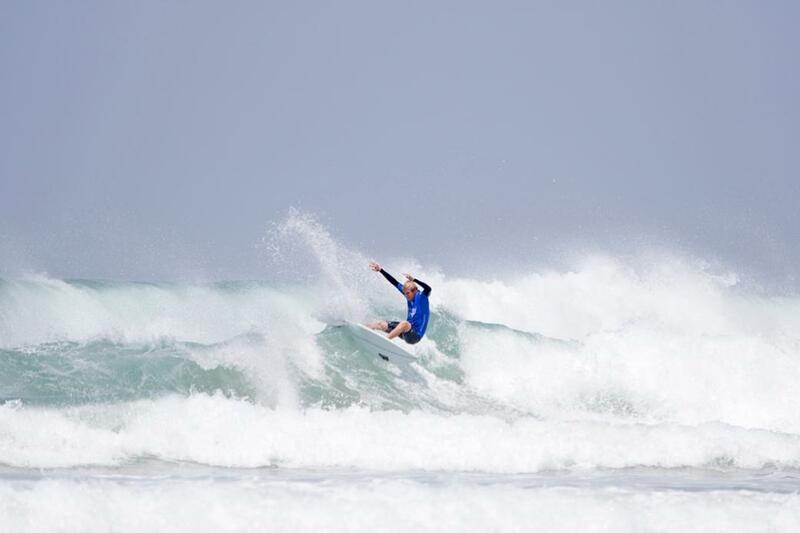 While the hope of going back-to-back finish fell short for the young West Australian, his performance in the last two events has increased his rank enough to put him into the QS10,000 events in Hawaii later this month. 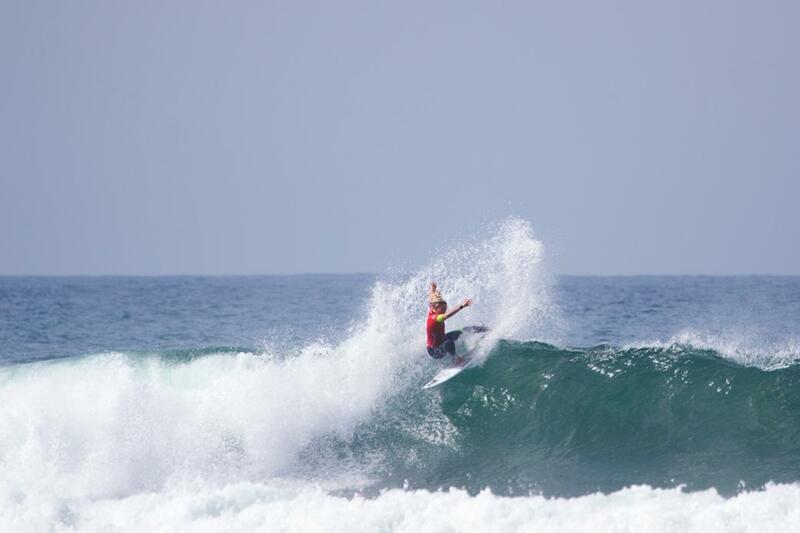 He will head to Hawaii leading the WSL Australia / Oceania QS rankings, 23 spots higher than he was this time last week. Joining the Men’s QS1,000 and Women’s QS6,000 components of the event was the Port Stephens Women’s Challenge and the PRD Port Stephens and Kaos Surf Cadet Cup. Both events gave amateur women and promising junior stars the opportunity to rub shoulders with some of the biggest names in women’s surfing. Divisions in the PRD Port Stephens and Kaos Surf Cadet Cup comprised of Under 16 Boys and Girls, Under 14 Boys and Girls, Under 12 Boys and Girls and Under 10 Boys and Girls. All results for the Port Stephens Women’s Challenge and the PRD Port Stephens and Kaos Surf Cadet Cup are listed below. All images are attached to the above link. In addition to the action in the water, Surfing NSW undertook a range of local engagements for the Port Stephens community, ranging from Indigenous surfing lessons, boardriders activations and allowing local students to gain work experience on site. The 2017 Port Stephens Toyota NSW Pro couldn’t happen without the support of the NSW Government via its tourism and major events agency, Destination NSW The event will run from November 2 – 5. For more information and a live broadcast head to www.worldsurfleague.com and check the WSL App.